AVSAR Wants to Thank You! Over the last few years, AVSAR has been granted, gifted, and given many donations to help ensure we are well equipped for rescue missions. I would like to take some time out to update you on how we use the support you give us as a non-profit organization. In the last 3 years, we received two grants to purchase 16 new radios. These radios would help in letting our team better communicate with other teams during any rescue mission. I would like to thank Coos County Commissioners for this. With the radios in place, we as an organization felt it would be best to have appropriate radio chest harness to protect them. Our radios are an essential piece for safety and we want to ensure they are well protected from the extreme conditions they are sure to see. 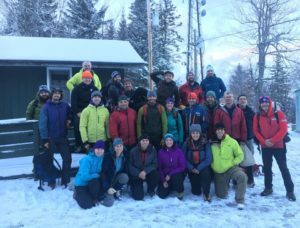 Funding for our chest harness’s to hold our radios, beacons, and spare batteries among many other accessories was provided by the New Hampshire Outdoor Council (NHOC), a private, non-profit organization supporting back-country safety education and search and rescue in New Hampshire. With the support that has been given to AVSAR it has allowed us the ability to purchase equipment such as litters, and additional gear for patient packaging, and put together an annual training for the team. 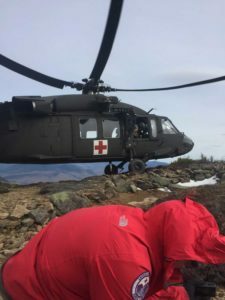 This allows us to increase the patient care and comfort while out in the field. Your support also goes to help maintain our general operational costs, such as our phone system, website, and insurance for our members. 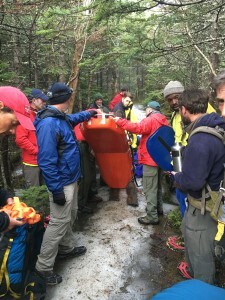 Our mission is to assist New Hampshire Fish and Game Department, U.S. Forest Service, and other rescue agencies in carrying out back-country search and rescue operations in the White Mountain region and in promoting safety in dispersed outdoor recreational activities. We cannot thank all you enough for the help and support you have given to us over the last few years. We could not do this without you.